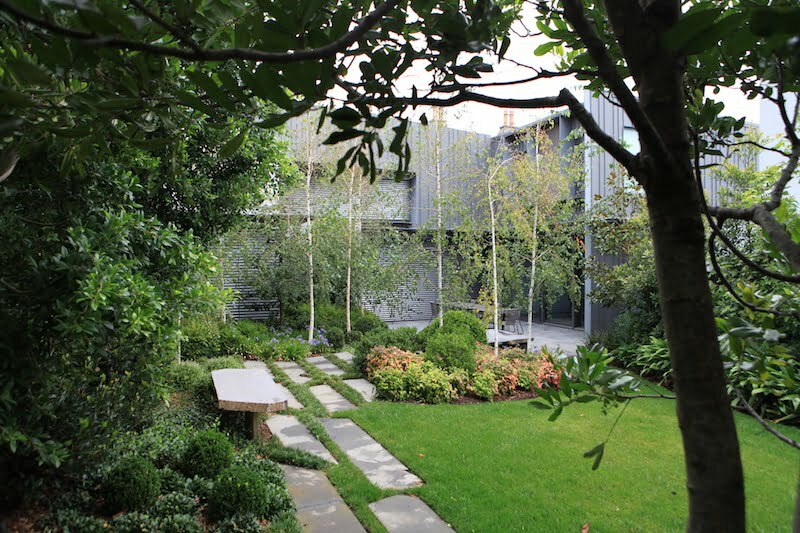 Garden designer Robert Boyle’s client had dreams of a very private city garden, only to discover the adjoining property, which they had just purchased to create their back-garden oasis, would be overlooked and dominated by a large development on a neighbour’s property. To make matters more difficult, there was only a matter of weeks to solve the problem. The solution: 10 year old Ficus hillii and Cupaniopsis anarcardioides that were about five metres high, growing in 1000 litre containers and ready to plant, were quickly found to screen out the neighbour’s building. Not only were the new trees doing a fine job of screening, they had also created a shady microclimate in what had otherwise been a very exposed and sunny site and they gave a structure on which to build the rest of the garden. Provide summer shade and winter sun to different areas of the garden. Provide functional and attractive spaces within the garden for the family, including hard paved outdoor living areas and access pathways, play spaces for grandchildren, adequate seating, and adequate lighting to enhance the garden and living areas at night. Provide a lush and full garden with interest and diversity for every season of the year. Be relaxed and informal with gentle curvilinear lines and plantings to conceal the boundaries. The designer collaborated with the clients and architects to blend with and enhance the dramatic and unique character of the buildings. The large windows in every room of the home provide uninterrupted views into the garden which then almost appear as large paintings on the walls, which change with the seasons and the times of the day. 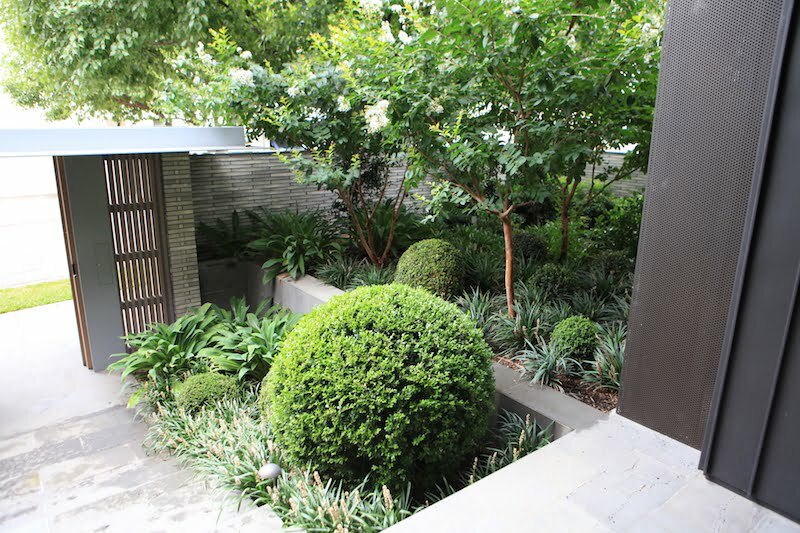 The garden in Armadale, Victoria, designed by Robert Boyle will be open during Rotary’s Garden DesignFest. Professionally designed gardens in rural Victoria will be open on 10 and 11 November and gardens in the Melbourne Metropolitan area and Mornington Peninsula will be open on 17 and 18 November. Gardens will be open to the public from 10am to 5pm. Bus tours to selected gardens are also available. Garden DesignFest is a biennial fundraising event managed by the Rotary Clubs of Kew, Brighton North and Central Melbourne. The main charity to benefit from this year’s Garden DesignFest will be End Trachoma by 2020.